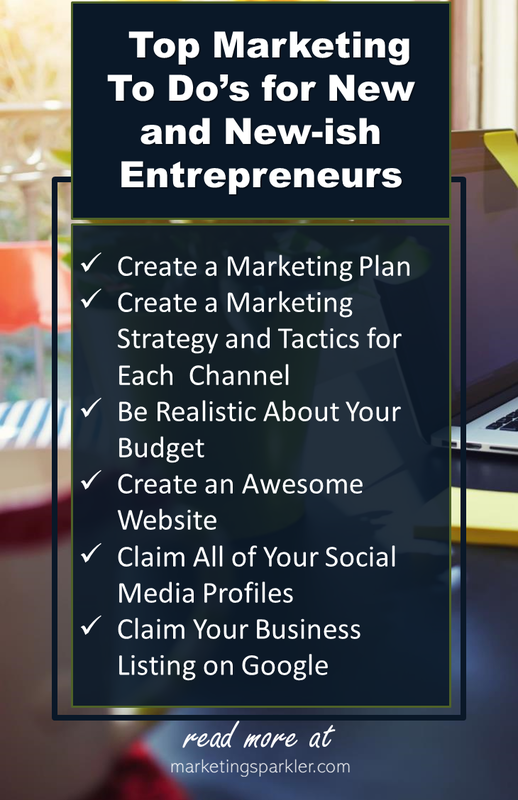 Are you a new or new-ish entrepreneur, looking to use online marketing to build an empire? Or at least eat and pay the bills on time? 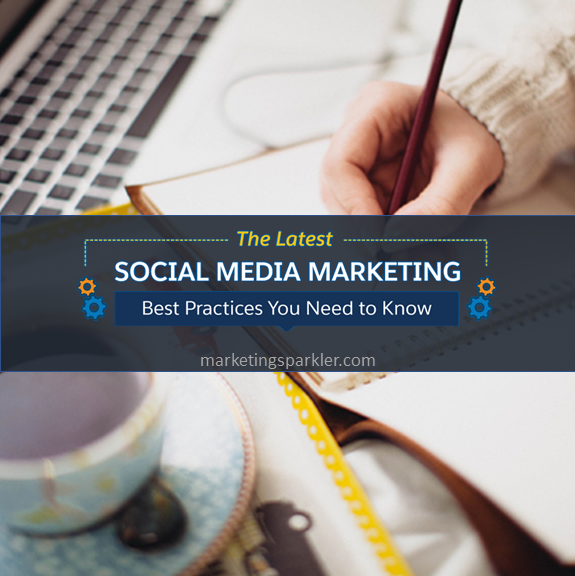 Have you identified your top marketing action items, or is social media pretty much it? I get the allure of social media. People who are winning at social media make it looks so easy, like anybody can do it. After all, social media is free marketing. If you could just figure out the secret to going viral and getting so much traffic that you crash your website. This is what many entrepreneurs believe and act upon, all in the name of marketing. And I hear this sentiment far too often. It’s time to make an action-based marketing plan, and stop wishing for a viral miracle. No time to read the full post? Listen to this episode of the Marketing Minute Podcast below. Social media is technically free, as it costs zero dollars to create a social media profile. With so many free tools available these days, anybody can launch a web presence, website and all, in less than an hour. It may take an investment of time, but dollars, not so much. If you don’t have the money, you can still create a business online. And you can still technically “market” the business, which is where the problems begin. Unfortunately for many new and new-ish entrepreneurs, understanding that any business can begin online for free gives the false impression that marketing should be free. Because, what kid can’t post on Snapchat, right? Just because kids can post a picture on social media doesn’t mean they should be marketing anything for your company. 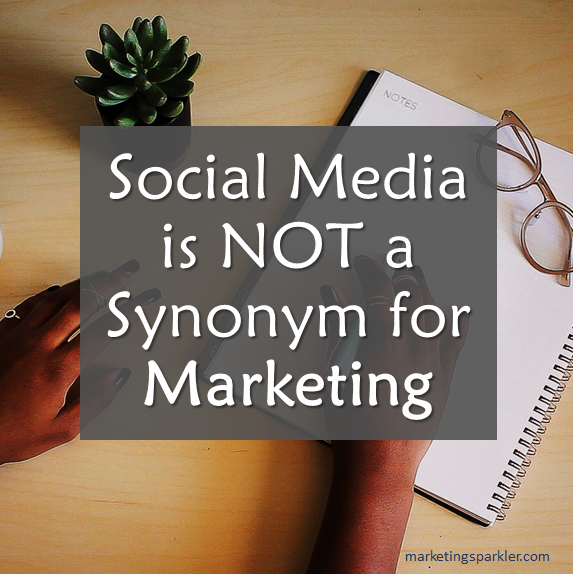 Social media is not a synonym for marketing. There are marketing action items EVERY BUSINESS should undertake, no matter the size, location, or the products and services sold. There are fundamental marketing plans that should be put in place if you want to make a real go of your business venture. All marketing should be created and implemented with the idea that you want to build brand awareness, while earning attention and making connections for the future. In this way, when you actually advertise or try to sell something to your audience, they already feel as if they know, like and trust you. Hey, I know it’s an overused cliche, but it is absolutely true! Dare I say, it will always be true. 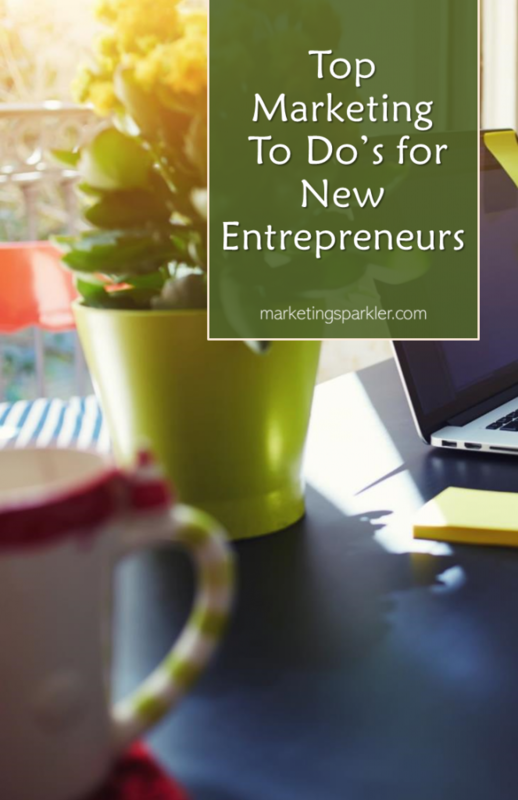 With this in mind, I have created a list of the top marketing action items for new and new-ish entrepreneurs doing it solo. Make sure you have these basics covered, and your foundation for success will be strong and solid, at least from a marketing perspective. It’s important to do this because without a plan, you are far less likely to wind up at the destination you hoped you would. The marketing plan does not need to be a 100 page thesis, it needs to be an action-based plan that you can use every day. A marketing plan is not a thesis, it is an actionable living document you reference daily. If you plan to have a marketing mix of a website, a blog and social media along with offline marketing such as community papers, radio and magazines, you need to write it all down and create a special strategy and tactics for each. Your marketing mix offers different ways to reach your audience, as it should. However, all of the methods cannot live together in a single strategy, and your tactics will be different for each channel and sub channel. For example: Your Facebook marketing strategy, while it falls under social media marketing, will not look the same as your Twitter strategy or your LinkedIn strategy, because they’re as different as a dog and a cat. Each platform has its own rules, culture and audience. Create a marketing strategy for each channel – each platform has its own rules and culture. Third on the list of marketing action items – let’s talk money! If you, like most small businesses, have a small marketing budget, it’s important to focus on what works. In this case, social media and online marketing are going to be more effective for your business. Let’s face it, tv and radio ads cost a lot of money. If you cannot do something right, don’t do it. It will end up a waste of time and money. The same goes for pay-per-click (PPC) advertising. If your budget is small, it may not work for you. Small budgets should stick to marketing that is almost free, other than the investment of time spent, and grow as the business grows. You must have a budget. Ever heard of the mantra, scared money don’t make no money? You have to spend money to make money, don’t let anybody tell you otherwise. $25? $50? $100 or $100 each month. Decide what you can spend each month, and create a plan from there. Would you believe this fourth step isn’t on some people’s list of marketing action items when they launch a business? Do not skimp on your website. Today, you can make a website without much knowledge using self-hosted WordPress. You can even hire someone for a few hundred dollars to build a good website using WordPress as long as it doesn’t have too many bells and whistles like forums or membership options. So be realistic about that, too. If you need those things, spend the money that needs to be spent to make sure the website works. 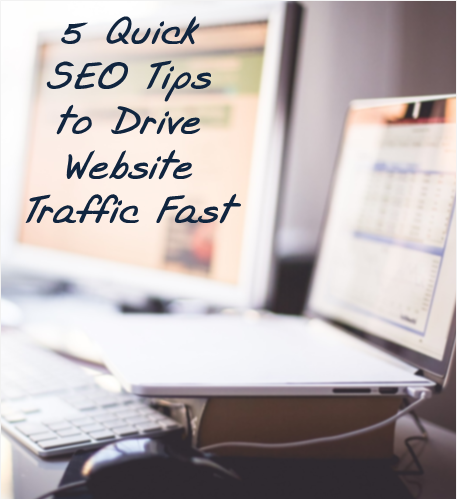 Many businesses fail before the get started due to a bad website. If you need to launch ASAP, you can put up either a “Coming Soon” page or a simple landing page. If you don’t have time to create content for a multi-page website and get it built, go with a simple landing page. Your starter landing page just needs to include the basics: who you are, what you offer, and an email capture form can be your starting point, and contact info. And voila, you have a website! And this is the critical part. If you take away nothing else from this post, please please please take heed to this. DO NOT listen to those hacks that say you can just use social media, and you don’t need a website. I repeat, they are wrong! You must own your own digital real estate. You must have a place that people can go to and learn more about you that has nothing to do with social media. And let’s not forget, you do not own your social media channels. For example, let’s say you only use your Facebook page. And you have a Facebook shop that you use as your own ecommerce store. And you use Facebook Messenger instead of your own email system. Then Facebook decides to shut down your page. Or they change their algorithm again this week and your reach plummets even further. Guess what? You don’t have a business anymore. You’re screwed! Don’t get screwed. Own your own digital property. This is besides the fact that search engines aren’t indexing all your social media content, so you don’t reap the benefits of SEO. And if you don’t look good on Google, you are not going to fare well against your competitors. Enough said. Every business needs a website. You do not own your social media profiles. The fifth step on the list of top marketing action items may sound obvious, but hear me out. Claim your brand name on all the main social media channels, and make sure the brand name is consistent. Claim your social media handles even if you are not using the platform right now. Why? You don’t want someone else to claim your brand name on a social media platform and then you NOT be able to use it later. Fill out the profiles all the way – include pictures, links and contact information. Remember, this is sort of like a resume for your customers. If you hide who you are, and aren’t “real,” they’re going to ignore you as if you aren’t even there. You want people to learn about your business so be yourself, be likable, and be trustworthy and accurate in your representation of your business. Do not try to use every social media channel. Go where your customers are looking for what you sell. At the onset, you may get really excited and want to use all of these social media channels. Before you jump out there, make a plan. Be realistic about what you can handle consistently. You do not have to use every social media channel out there, especially when launching a new business. My recommendation: choose the main three channels that your customers are using to engage with companies in your industry. Master those social media channels first, then branch out as you see fit. Finally, claim your business listing on Google. This is an often overlooked to-do, especially for small and home-based businesses. However, it is imperative that you tell Google who you are, where you are, and how you can be reached. When people are searching for businesses that offer what you have, you want to show up in the search results! It’s easy, you can update your listing anytime, and it is F-R-E-E.
One of the features I love the best about using Google My Business: you can learn how people are finding you on Google! You will receive an email each month from Google that explains how people are finding you. This is useful to know, wouldn’t you agree? Have you claimed your business listing on Google? Here is why you should. And there you have it, the top marketing action steps to take for your business. If you have questions or need help in figuring it all out, gimme a shout! It’s what I do.